Very suitable for a family as an apartment. The location was amazing next to everything and in a quite and safe area. All of the staff were very welcoming not sure of the names in specific but i can remember victor and the lady, also all other receptionist were great and managed for us 2 big cars to the airport. The place was quite, rooms were clean and good home service. 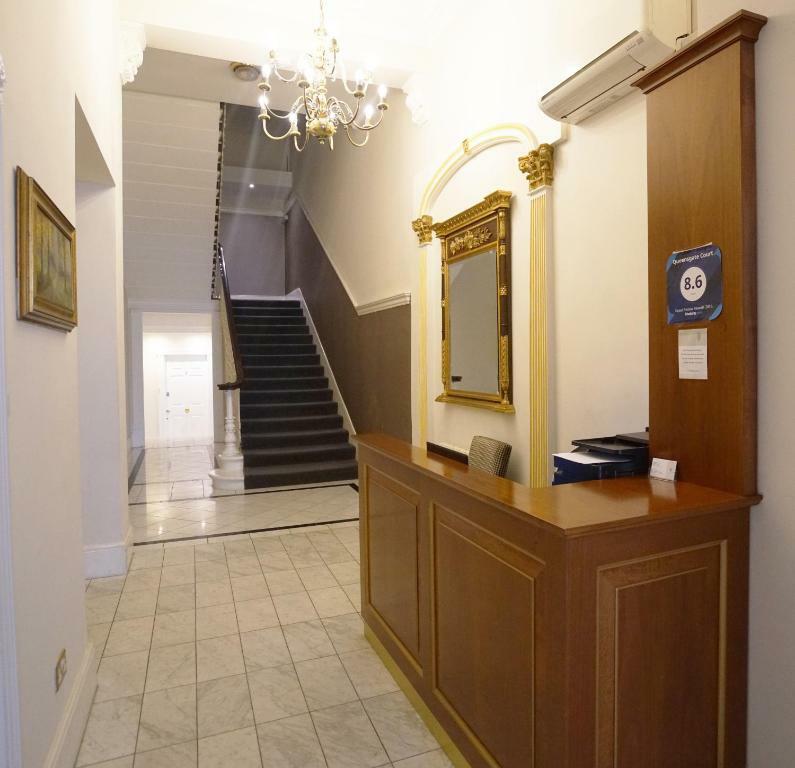 Easy walking distance to many museums and to a tube station to reach others. The property is highly recommended for families. It’s very close to Hyde park, museums and shops. The location is great, close to the park. 10min walk from underground and 15min from High Street Ken. But no aircon and no double glazing so hot and noisy in Summer. Staff at reception extremely helpfull and responded immediately to any request we had. I love the place of the apartment it quite in same time it’s clean , I recommend for the Family better then hotel . Great location and communication. 24 hour reception. 1 bd partment is perfect for a couple. Location of the property is good. And the size of the deluxe studio we had was good too. It was very nice and clean place. Big space in all rooms and living room. Lock in a great price for Queensgate Court – rated 8.1 by recent guests! Queensgate Court This rating is a reflection of how the property compares to the industry standard when it comes to price, facilities and services available. It's based on a self-evaluation by the property. Use this rating to help choose your stay! 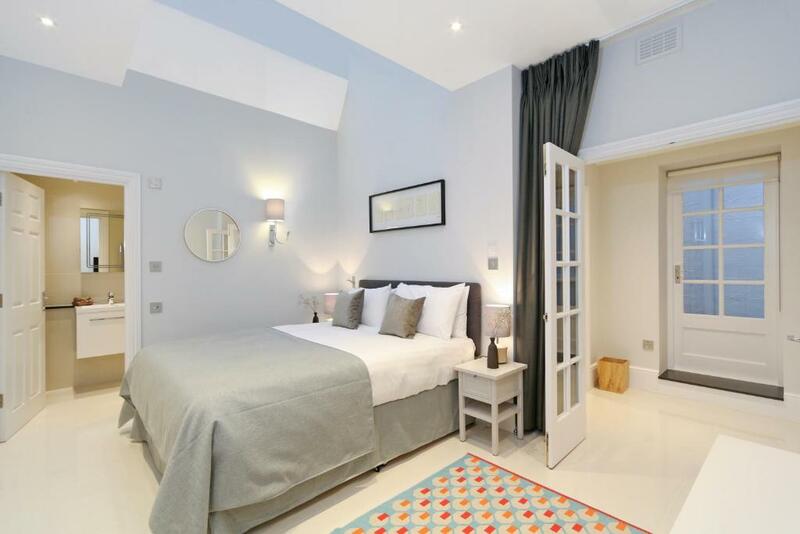 One of our top picks in London.Located within a 10-minute walk of Hyde Park, The Royal Albert Hall and the museum district of South Kensington, Queensgate Court is a self-catering accommodations with free WiFi access. 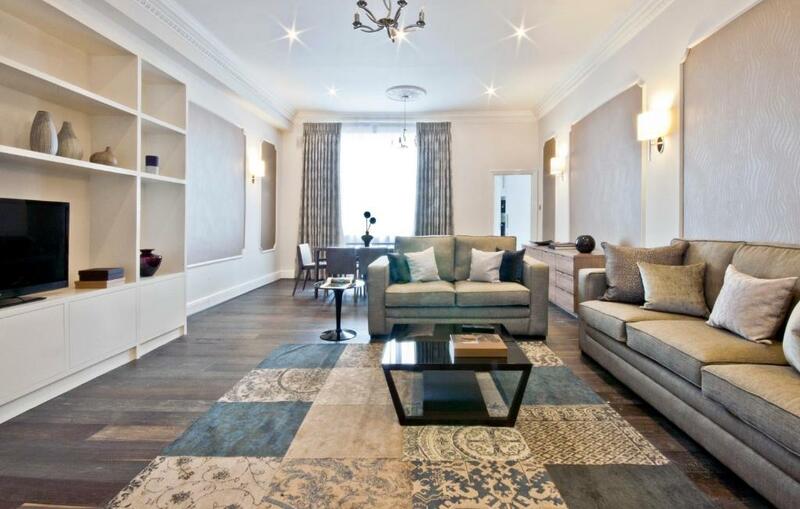 Gloucester Road Tube station and the fashionable area of High Street Kensington are just 10 minutes away on foot. The apartment will provide you with a TV, a seating area and a Blu-Ray player. There is a full kitchen with a dishwasher and a microwave. Other facilities like dry cleaning and an ironing service are offered. A wide variety of shops and places to eat can be found in the local area. London's West End can be reached in 30 minutes by Tube or bus. London Heathrow Airport can be reached in a direct 50-minute Tube ride from Gloucester Road station. 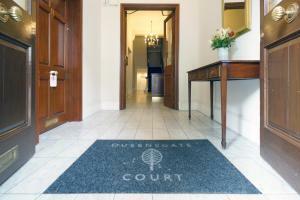 When would you like to stay at Queensgate Court? This apartment is located on the ground floor. Designed for modern open-plan living the living/dining area includes a sofa and separate sleeping area with a king-size bed and a double wardrobe. The fully fitted kitchen includes all modern appliances and the bathroom is fitted with bathtub and shower. One-bedroom apartment located on the lower-ground floor. The living/dining area includes TV and a sofa, and the kitchen is fitted with all modern appliances. 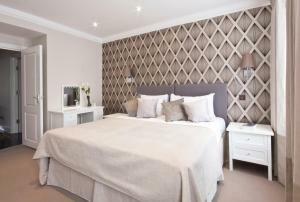 The bedroom includes a king-size bed and the bathroom is fitted with bath and shower. This apartment features high ceilings. The living/dining room features a TV and sofa. A fully-equipped Kitchen is located on a mezzanine floor. Both bedrooms are fitted with a king-size bed and feature private bathrooms with a bath and shower. Located on the lower ground floor, this apart­ment has a spa­cious liv­ing room that includes audio visual equip­ment. There is also a sep­a­rate dining room that is located along­side a fully-equipped kitchen. 2 bed­rooms include a king-size bed and a dou­ble wardrobe for stor­age, plus en suite bath­rooms fit­ted with bath and power shower. The third bed­room has a sin­gle bed. This spacious studio apartment is located on the lower ground floor. Modern open-plan living the living/dining area includes a sofa and separate sleeping area with a queen-size bed and a double wardrobe. The fully fitted kitchen includes all modern appliances and the bathroom is fitted with bathtub and shower. Located on the ground floor, this spa­cious stu­dio apart­ment fea­tures a living/dining area, a sep­a­rate sleep­ing area with a king-size bed and a dou­ble wardrobe. There is also a fully-fit­ted kitchen with a washer/dryer and the bath­room is fit­ted with a power shower. This luxurious and spacious Three-Bedroom Deluxe apartment is located on the first floor via a private elevator. The spacious living room includes premium audio visual equipment and the separate dining room is located alongside a modern, fully equipped kitchen. It features 3 bedrooms, 3 private bathrooms, an additional toilet, air conditioning, high ceilings, large sitting room with dining area, balcony and terrace. This apartment features a kitchenware, DVD player and toaster. This apartment has a kitchen, sofa and soundproofing. Newly refurbished apartments are all exceptionally spacious, with high ceilings, maximum light and furnished in an uncluttered modern style. The apartments offer a choice of Studios, One, Two and Three Bedroom Apartments, with Superior and Deluxe options. All the apartments are designed to provide comfortable, spacious living, and are equipped with modern amenities, including Wi-Fi, satellite TV, fully-fitted Kitchen and 24-Hour monitored security/Reception. The apartments and location provide ideal accommodation solutions for business travellers, family living, short and long stay accommodation. Queensgate Court, at 24 Queen's Gate, South Kensington, offers superior accommodation in one of London’s most exclusive locations. Close to The Royal Albert Hall and three world famous museums: the Natural History, Science and Victoria & Albert. 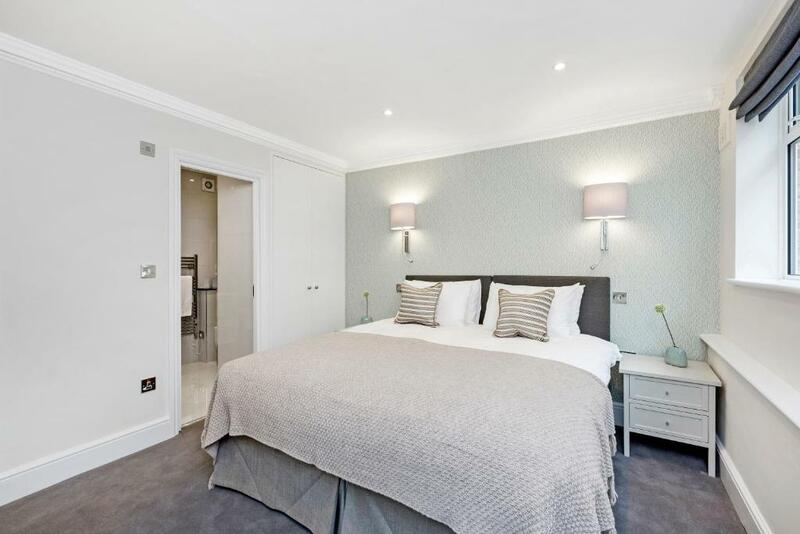 Kensington Gardens and Hyde Park are also nearby, as well as Harrods, Knightsbridge and convenient transport links, make it the ideal location to explore and enjoy the city. House Rules Queensgate Court takes special requests – add in the next step! A GBP300 damage deposit is required on arrival (around USD390.29). This deposit will be fully refunded at check-out, as long as there isn't any damage to the property. Queensgate Court accepts these cards and reserves the right to temporarily hold an amount prior to arrival. 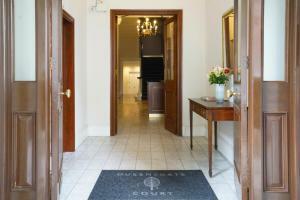 Queensgate Court charges a refundable security deposit on arrival. Please note that at check-in, guests are required to submit a security/deposit which is an authorization on the guest's credit card. This authorization will be canceled following settlement of any outstanding balance on your bill at check-out and after an inventory check-out has been made. An authorization is not debited from the cardholder's account. The amount is held for a short period of time and then automatically canceled. Please note that the card used for the payment of the stay must be presented at check-in together with a ID. Security deposit amounts are as follows: Studio Apartment - GBP 300, One-Bedroom Apartment - GBP 300, Two-Bedroom Apartment - GBP 350, Three-Bedroom Apartment - GBP 800, and Queensgate Suite – GBP 1000. Please inform Queensgate Court of your expected arrival time in advance. You can use the Special Requests box when booking, or contact the property directly using the contact details in your confirmation. A damage deposit of GBP 300 is required on arrival. That's about 390.29USD. This will be collected by credit card. You should be reimbursed on check-out. Your deposit will be refunded in full by credit card, subject to an inspection of the property. Location and fresh clean bedding. The staff were exceptionally polite and helpful. The studio was a awkward configuration with the bedroom up narrow flight of stairs. If the heat was on it became unbearably hot. The upstairs bedroom made lugging suitcases difficult. The shower was not much bigger than a cupboard. If you had any disabilities you would not have managed. The studio was ideally located on the ground floor. 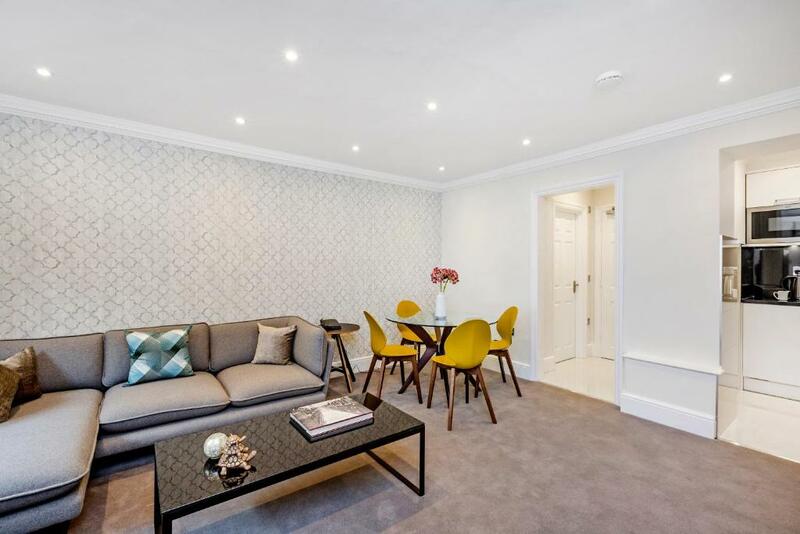 Close to two tube stations and many attractions. My only problem was with the hot water it finished quickly i got the 3 bedroom apartment and we can’t all shower with hot water at the same day 2 of us has to shower in cold water! Noise from the neighbouring basement appartment on the Saturday night. A large room, comfortable bed, separate tv and lounge room, equipped kitchen. The staff were fantastic there mantra was "No problem " to any request. This was such a good facility and location.